There can never be too many class samples when teaching at guilds, quilt shops, quilt shows or art centers. I like to have lots of examples to inspire participant to inspire participants to try the technique again after class. This the a mixed medium art quilt using Inktense pencils and thread painting created before traveling to Alexandria, VA to teach at Artistic Artifacts. 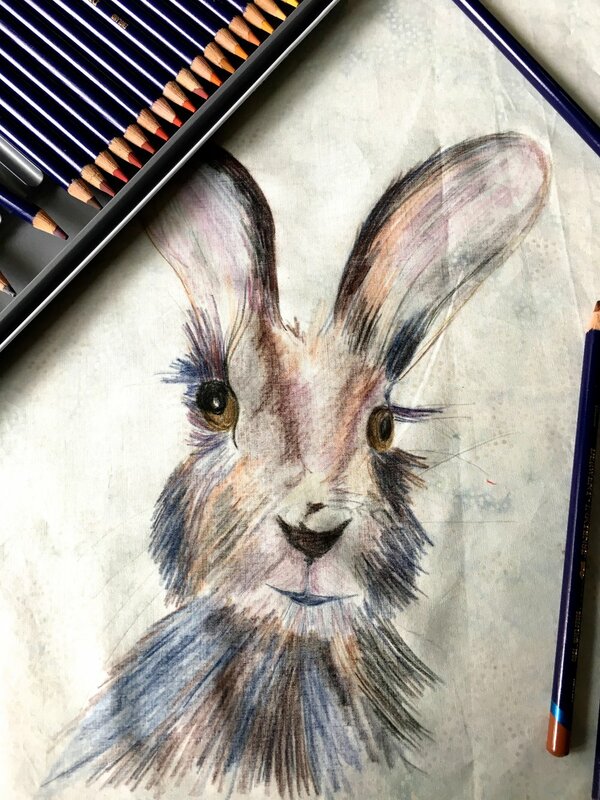 Starting with batik fabric from Island Batik, Hare is sketched on with Inktense pencils. Lots of different shades and colors are worked into his fur. Fabric medium is used to brighten or intensify the applied color. The finished work is heat set with a dry iron before quilting. The project has moved over to the Handi Quilter Avante for a bit of thread painting. Rich black threads create whiskers and texture while lighter weight threads add color to his feathers and fur. The background is pebbled for contrast. 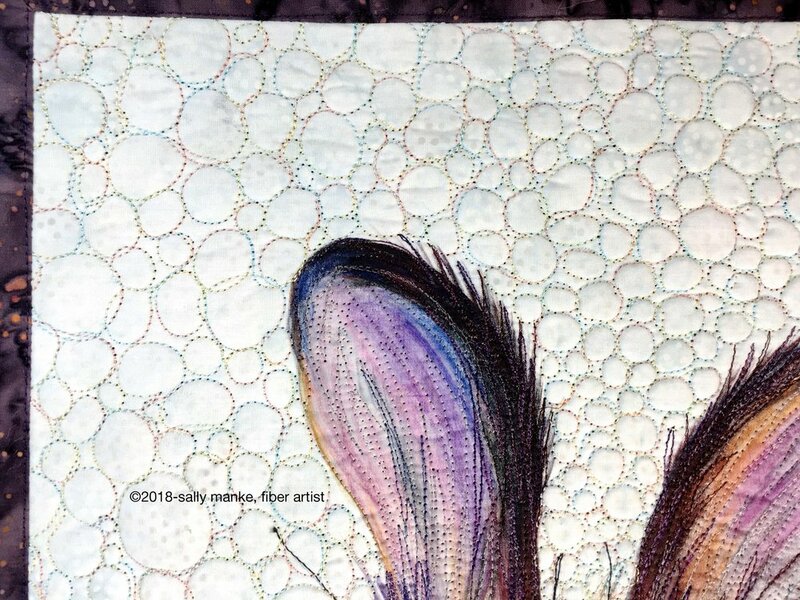 Here’s a few close ups to see both quilting and Inktense work. Hare was displayed at the Oliver Art Center’s Members Show in January and went home with a new owner.